Hugh Farmer: Yim Tin Tsai (鹽田仔, lit. 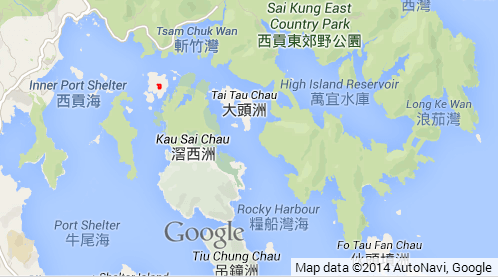 “Little Salt Field”) is a small island off Sai Kung. There is no permanent population on the island. The only village was originally built by a family surnamed Chen from Guangdong province who moved to the island in the 1740s. Its descendents made a living by farming, fishing and operating a salt farm and sold salt to Sai Kung and neighboring areas. 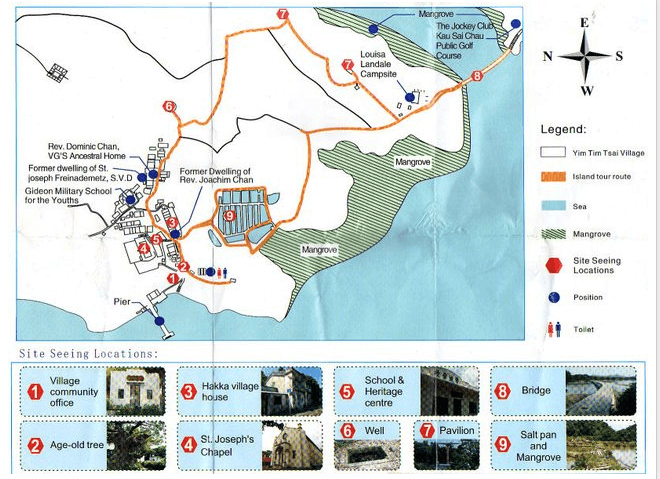 At its peak the island had about 500 residents (another source suggests 1,500) wtih 6 acres (24,000 m2 ) of salt fields. However as mainland China and Vietnam exported cheaper salt to Hong Kong in the early 20th century, Hong Kong’s salt industry went into decline. As happened on Yim Tin Tsai, where the salt fields were converted into land for agriculture in the 1930s and then into fishing ponds in the 1960s. On 17th March 2013 a ground breaking ceremony was held on the island to formally begin a project to restore at least some of the salt pans. 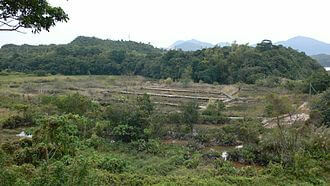 The Hong Kong government has given the go-ahead for this to happen to preserve the villagers’ cultural heritage. The event was filmed and this also includes interesting background informatuon. It’s 12.45 minutes long with an introduction in English and then English subtitles. This article was first posted on 27th April 2014. 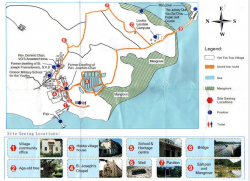 Q&A 5 Salt pans in Mui Wo? Lok On Pai ‘desalting’ plant – site visit photographs including a great surprise!